Another recipe from The Great British Bake Off Big Book of Baking – still working my way through it, still not doing it in order…..
Today’s recipe is Chocolate Fudge Brownies. They were OK. I substituted the cocoa powder with Montezuma dark chocolate buttons as I don’t often have cocoa powder, and I made it with walnuts. It was too too sweet though. 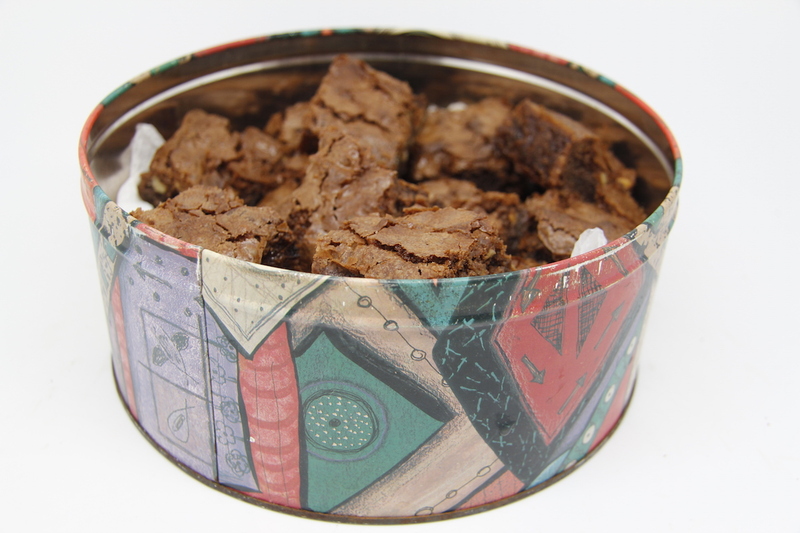 Compared to other brownie recipes it has far more sugar in it. This made the brownies taste a bit shop-bought – the horror. This is the first recipe from this lovely book that has been a bit blargh. I think if the sugar was reduced to about 250g it might be better – perhaps with some more chocolate in as well. 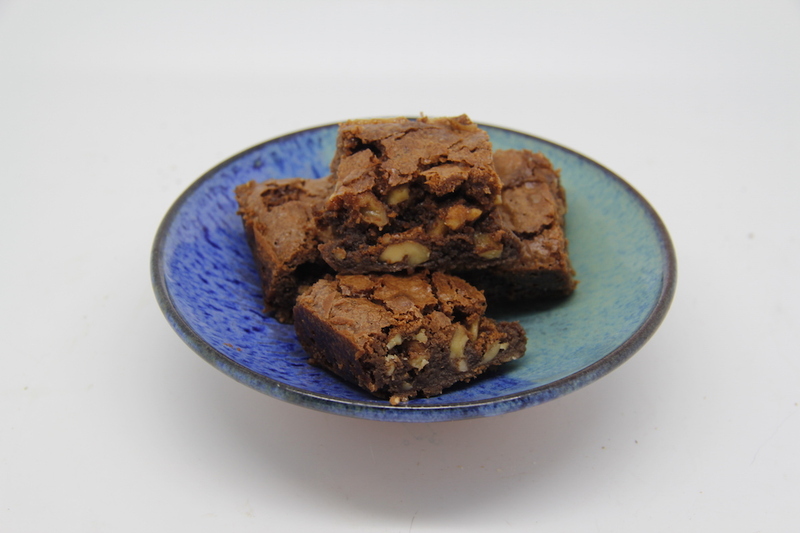 Anyway, it has inspired me to go on a brownie baking frenzy to try and find a really good version – not that this version is bad – it is still a home-made brownie after all! Heat oven to 180C. Roast the nuts briefly in the oven but keep an eye on them as they burn easily. Melt the butter and chocolate (if using) in a large saucepan. Stir until smooth and then add in the sugar. Beat eggs with vanilla extract and then add into the cooled mix. Sift flour into saucepan and fold in. Add a pinch of salt and the nuts. Put in a greased and lined baking tin and cook for about 30minutes. When you put a skewer in the middle it should come out just clean – centre should still be soft though. Leave to cool and then cut into squares. N.B. I took mine to work for a history theory seminar – they were very much appreciated although a few people agreed with me that they were a little sweet. So really, the are OK, just not anything really really special. I think tea goes really well with them – especially green tea (but that might be because that is my favourite) – or do you add tea into the brownie mix?